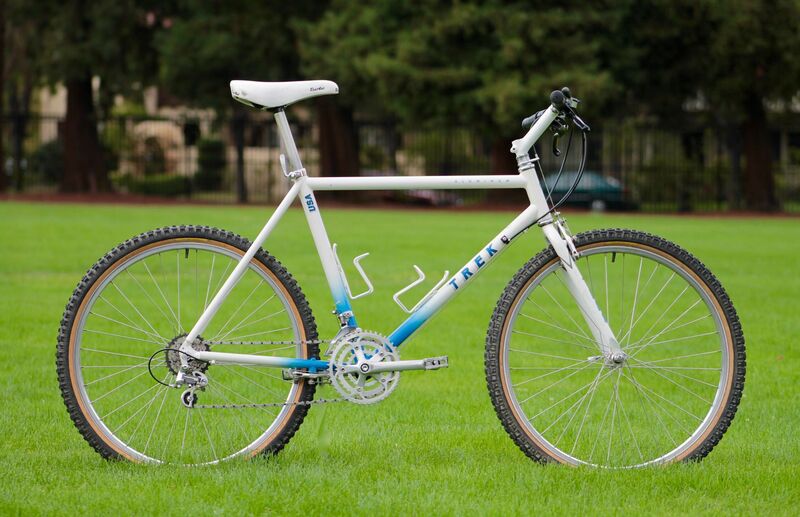 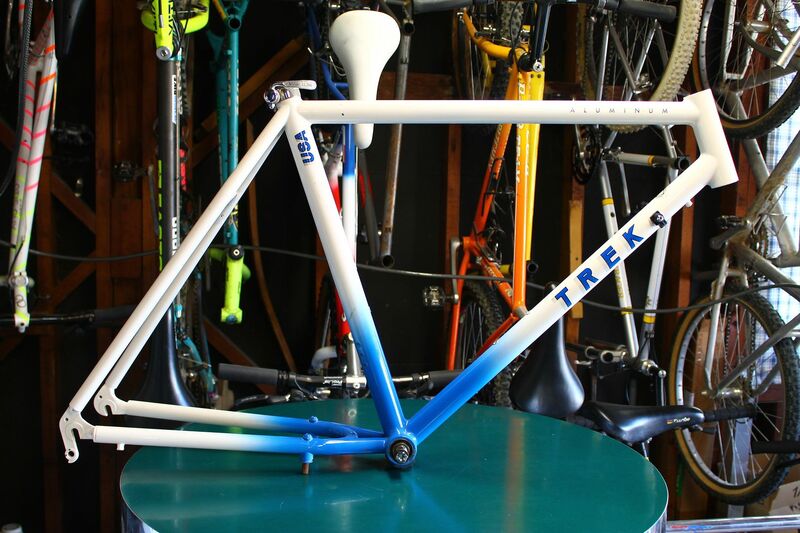 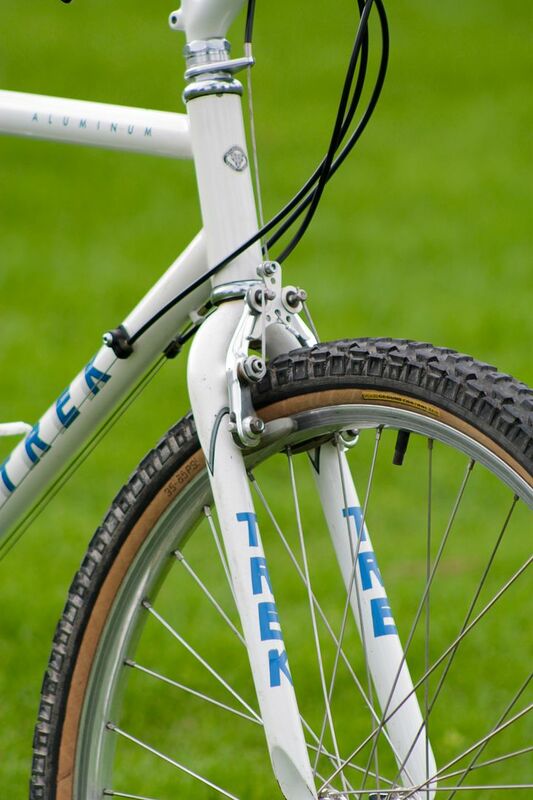 A Trek is not usually on the list of bikes I want to own. 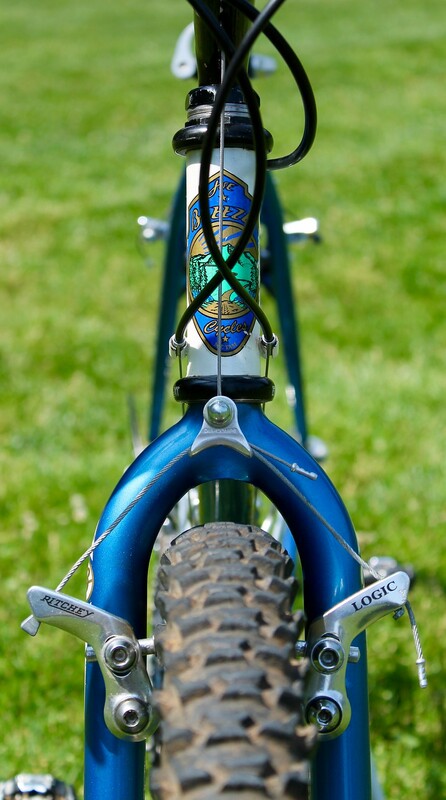 This one would be an exception. 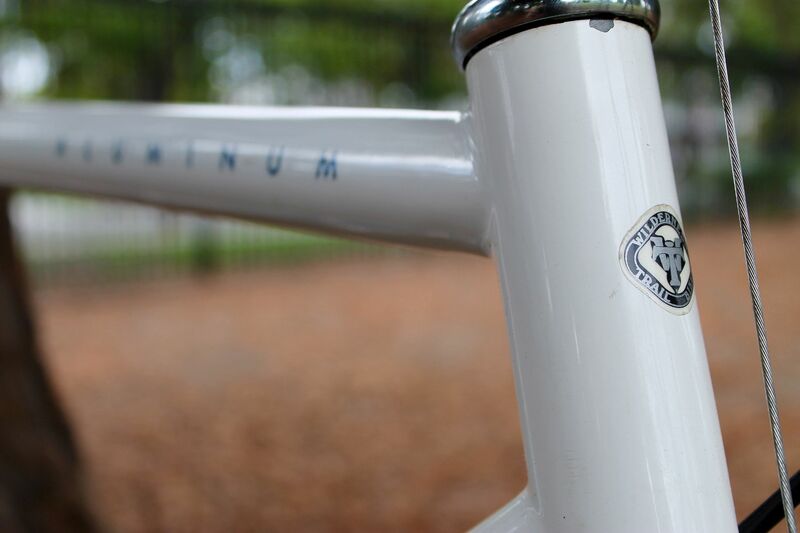 The first time I saw this frame, was ten years ago on a lucky visit with Mark Slate. 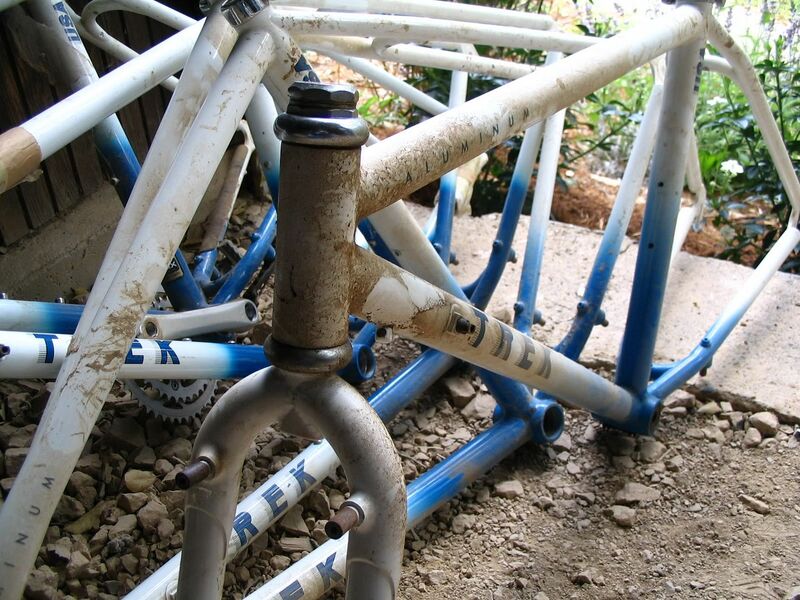 It was a surplus Team frame along with a few others, languishing under a house...dirty, dusty, but otherwise NOS. 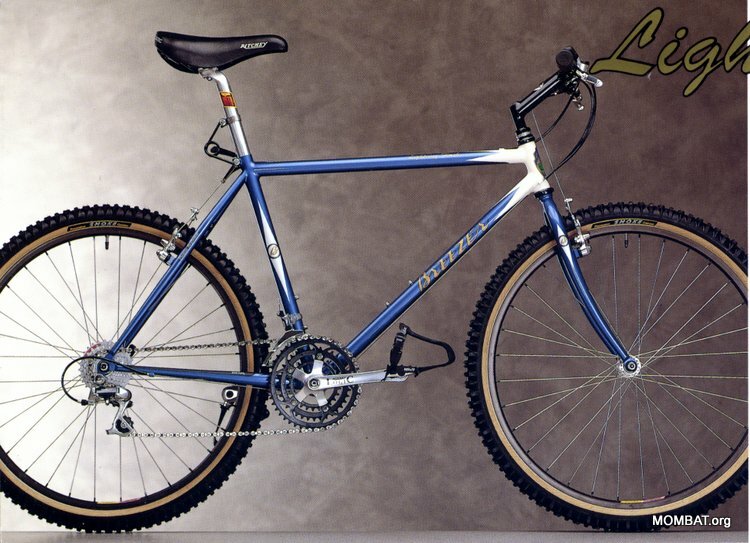 Fast forward a decade and I was fortunate to be connected with one of these frames through a mutual friend. 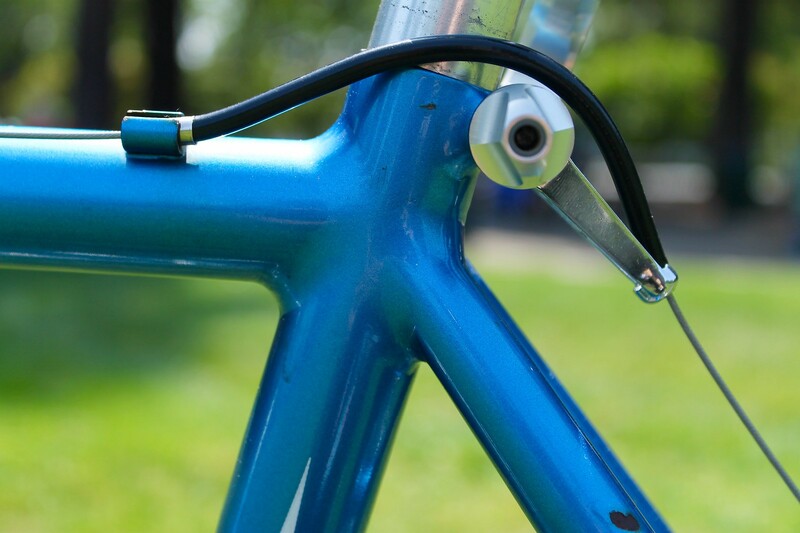 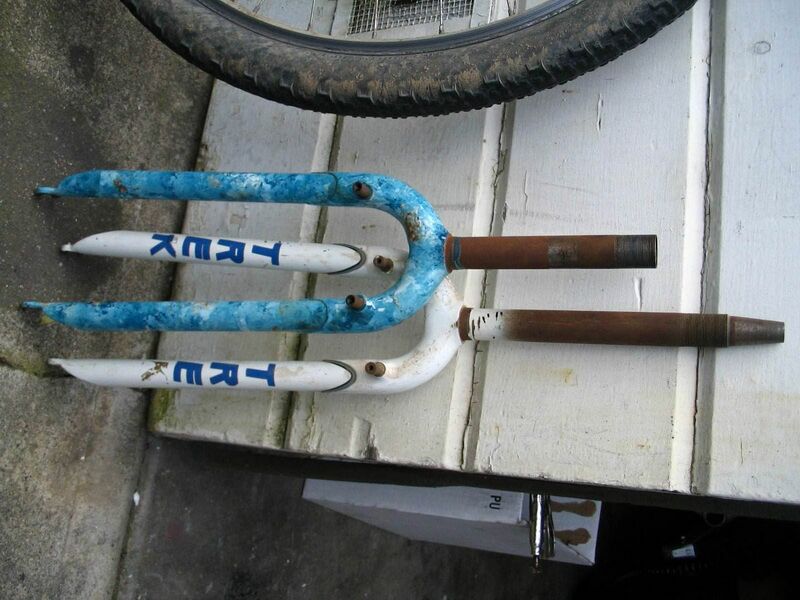 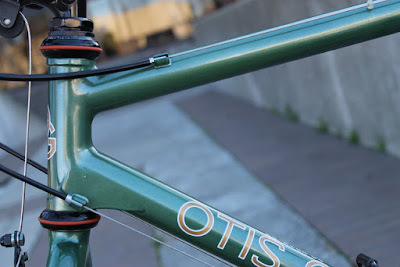 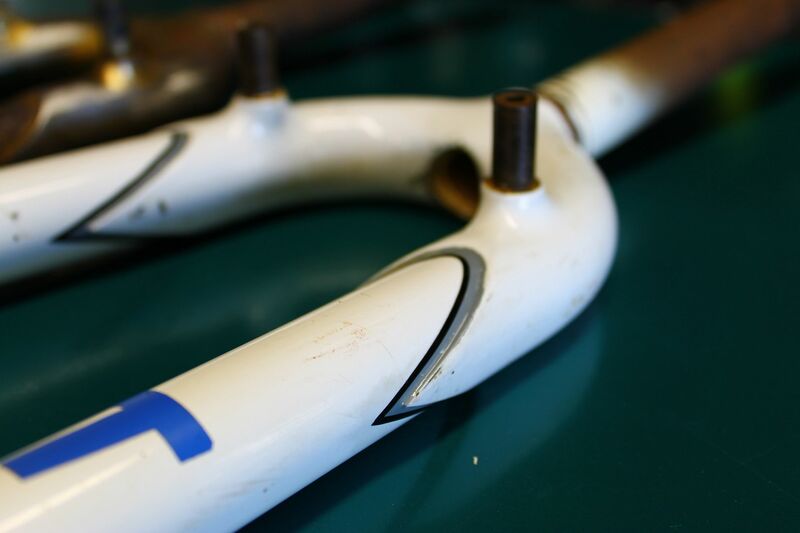 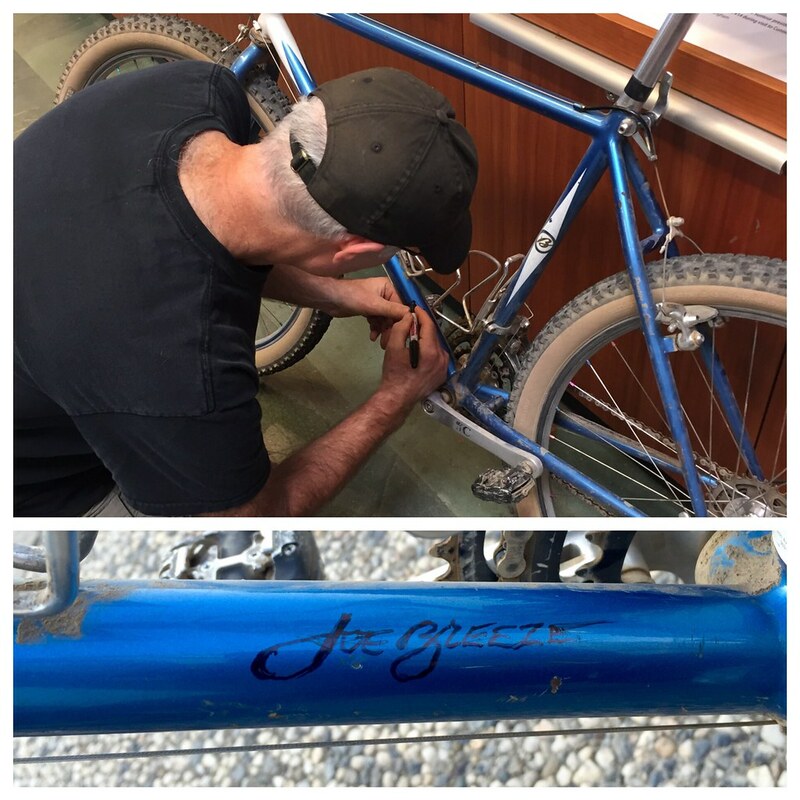 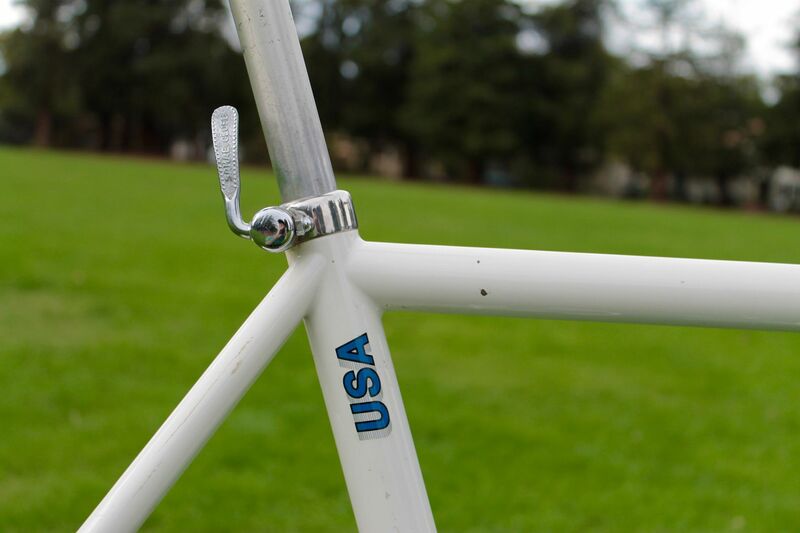 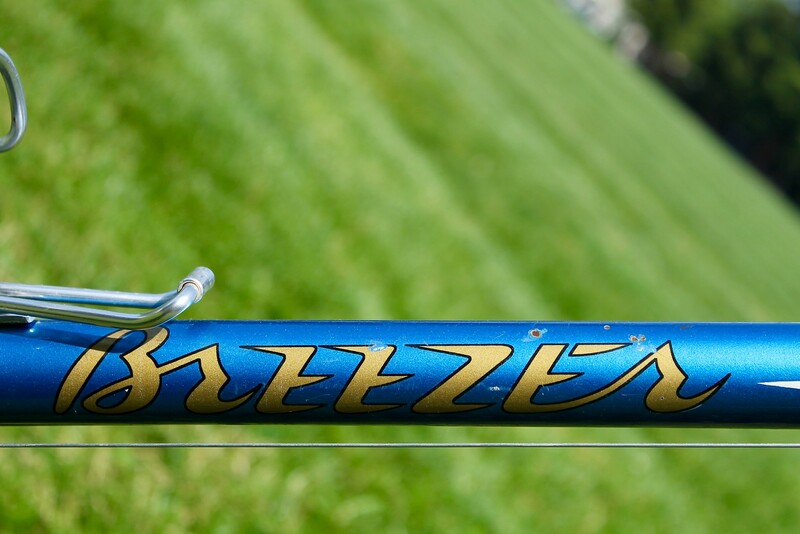 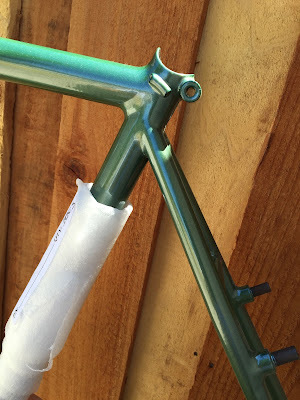 In addition to the frame (this particular one painted by Steve Potts), was an ex-Team Trek Potts/Cunningham Type II fork (a fork that saw actual race duty back in the day). 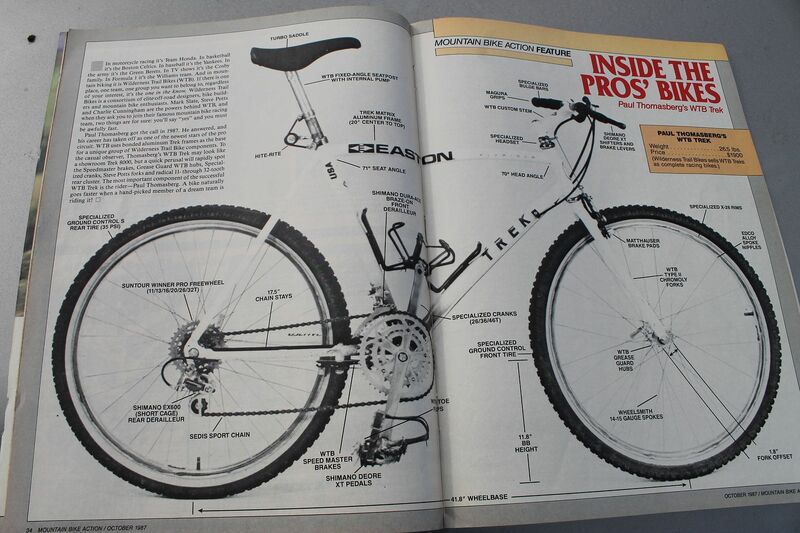 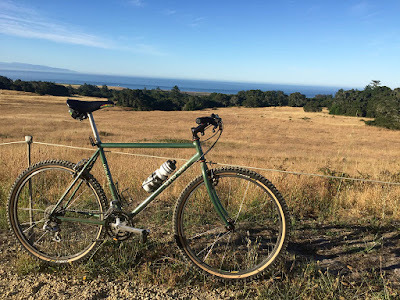 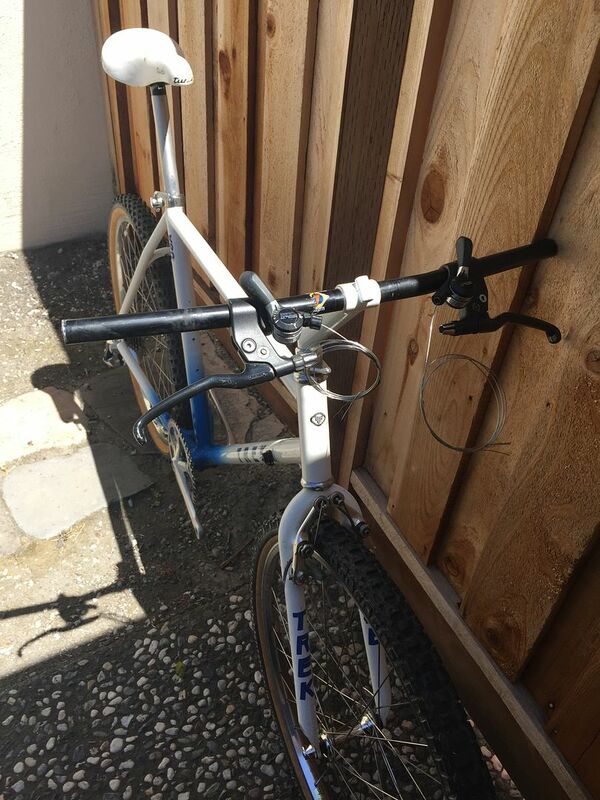 Sourcing the exact parts for this kind of bike can be exceedingly difficult and/or cost prohibitive. 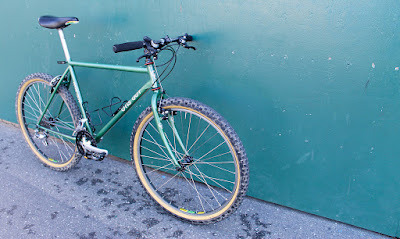 I had to make some concessions on the build spec in order to make this a running, usable bike. 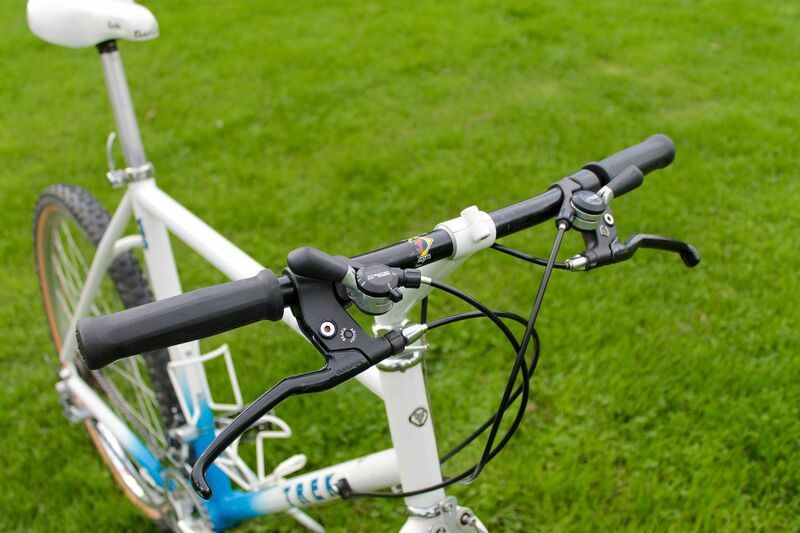 Early 'Swiss Cheese' Roller Cams and a FASP are tall orders, so reasonable replacements were used. 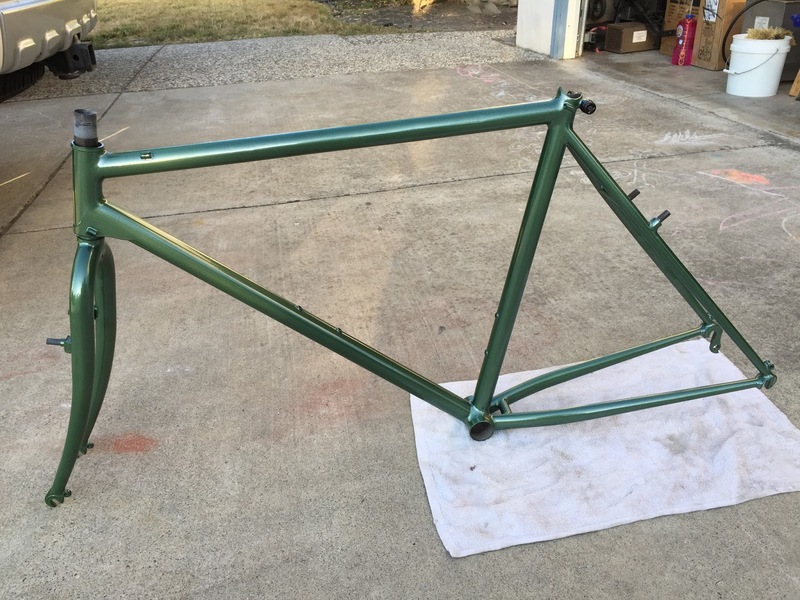 I'm excited with the final product. 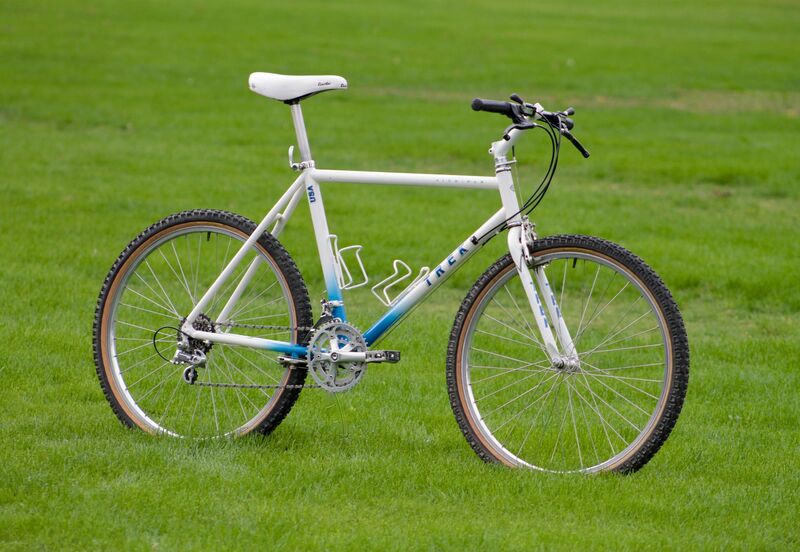 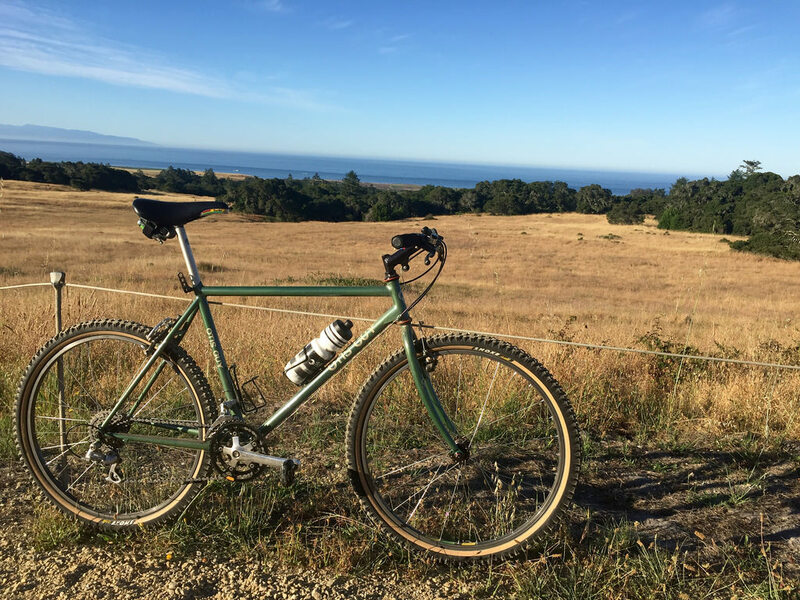 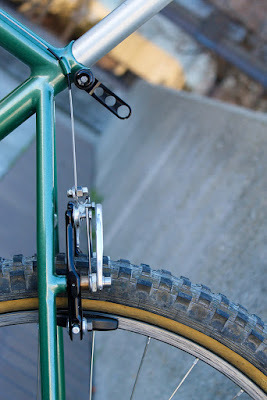 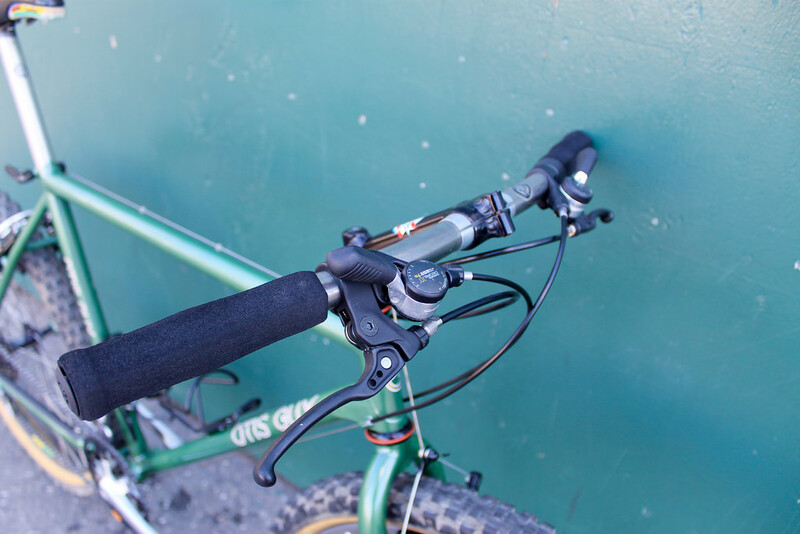 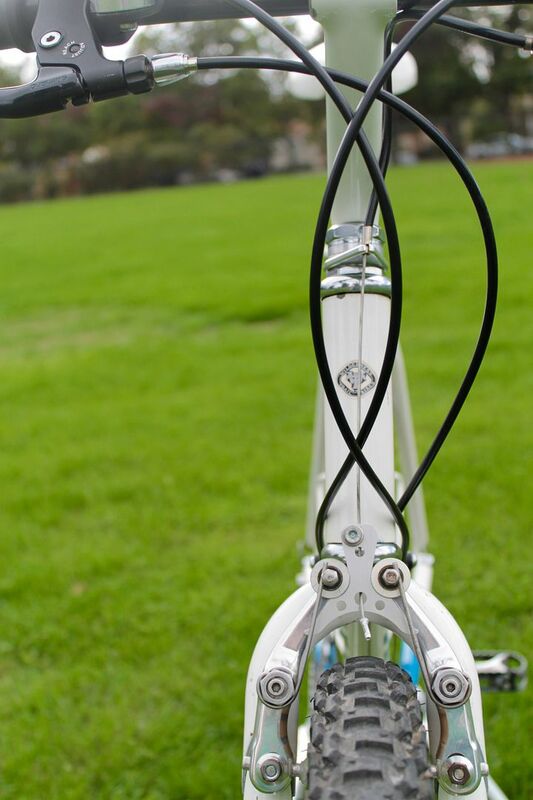 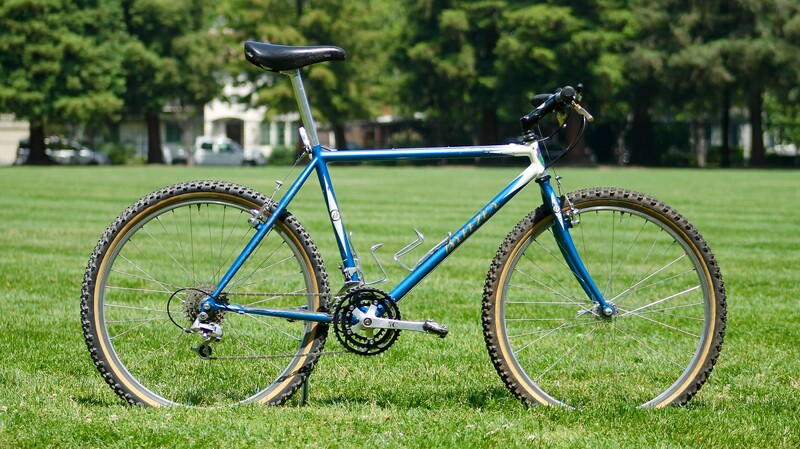 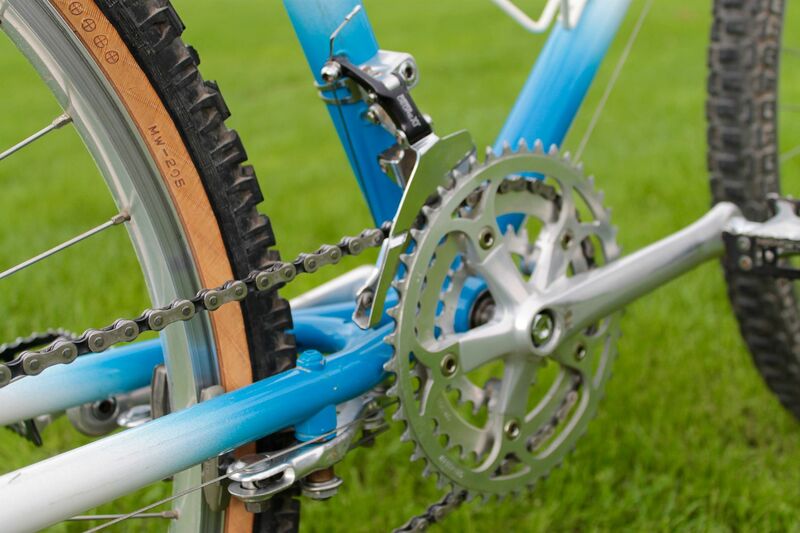 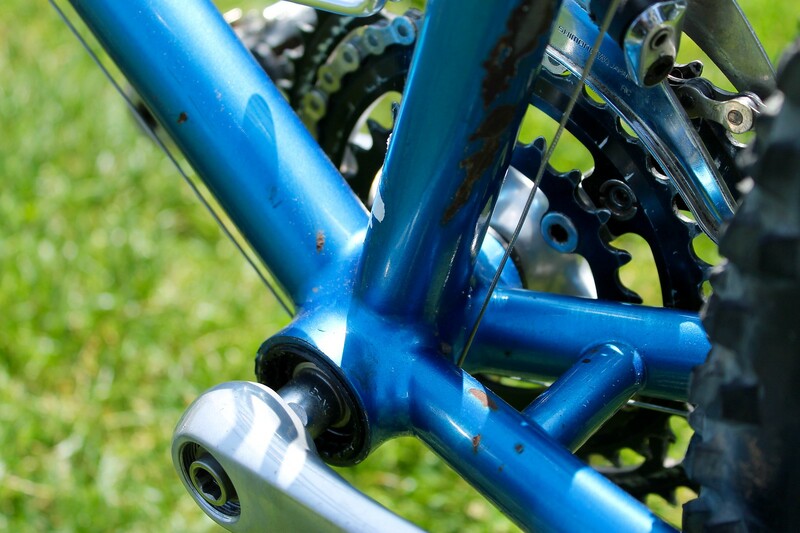 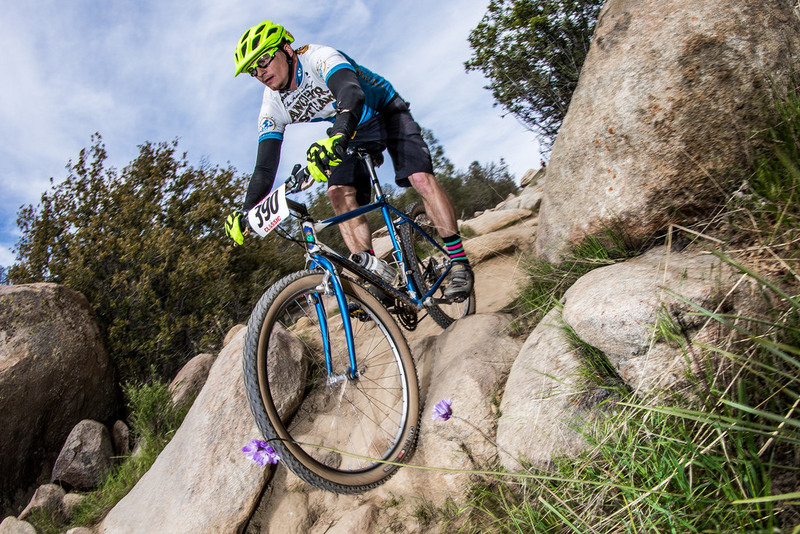 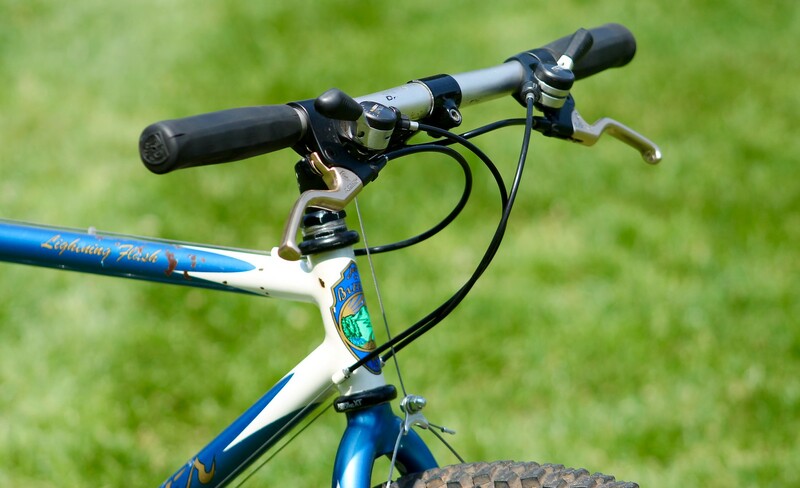 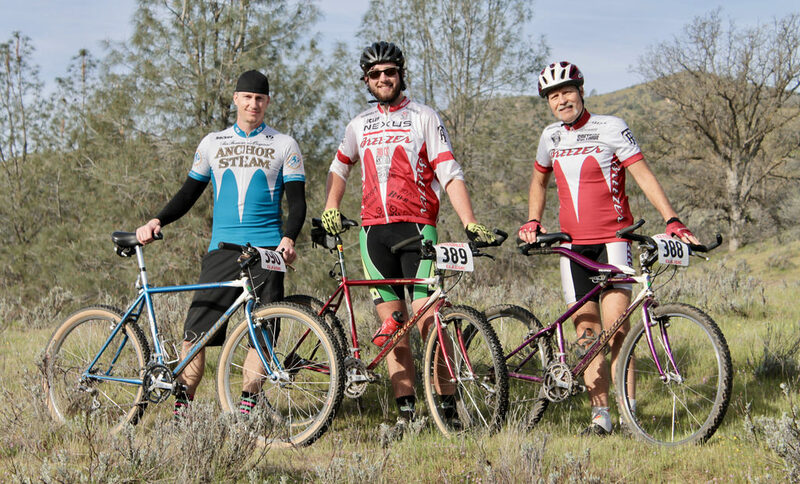 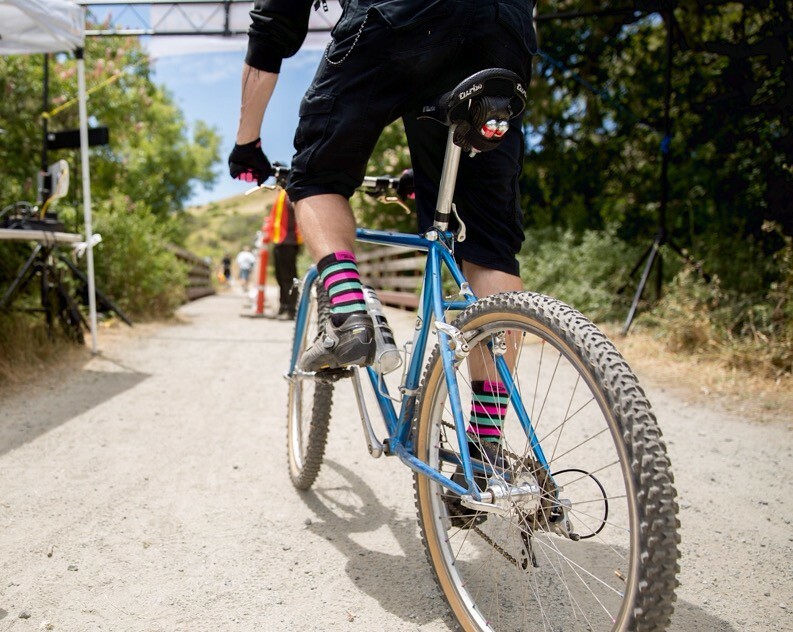 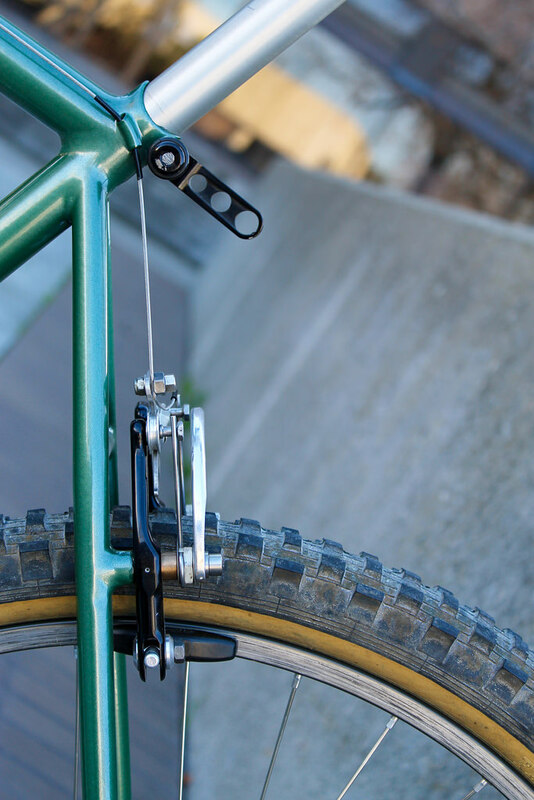 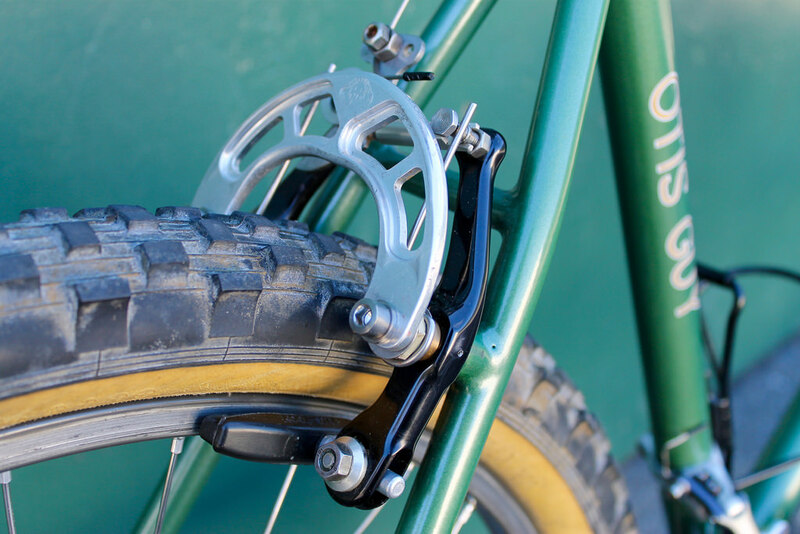 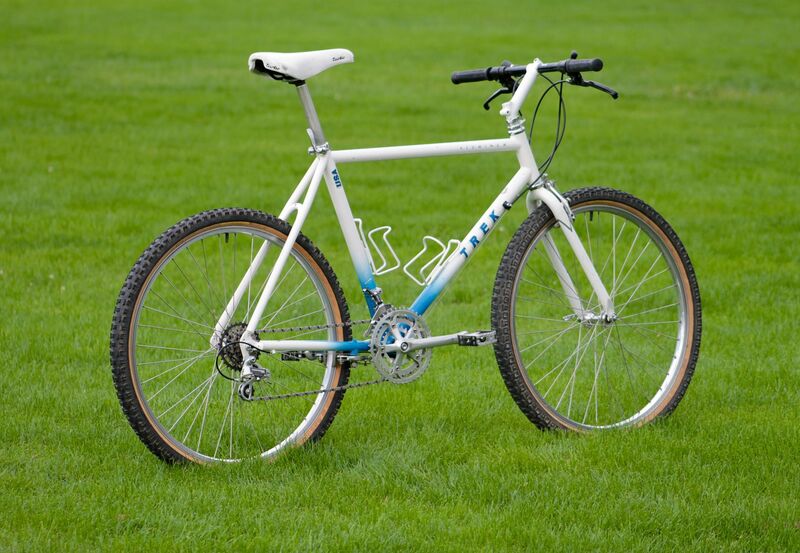 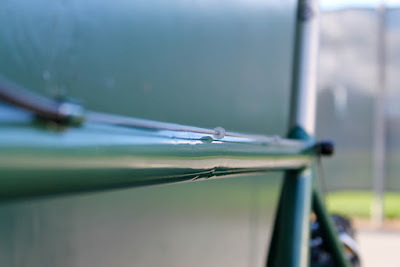 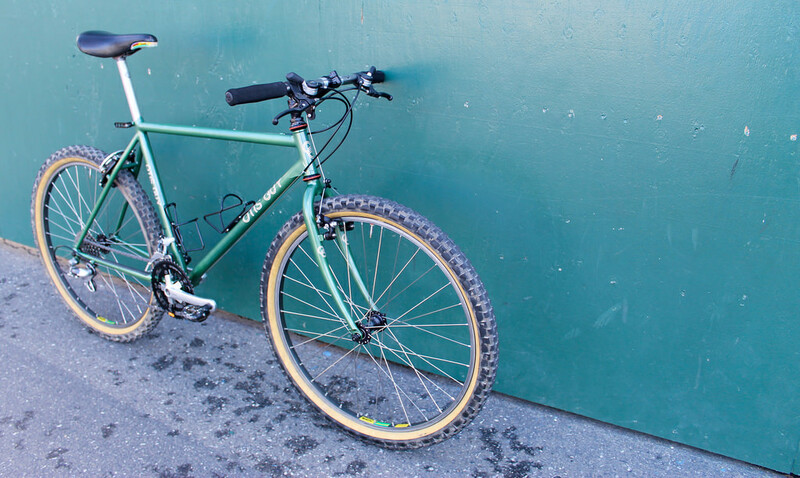 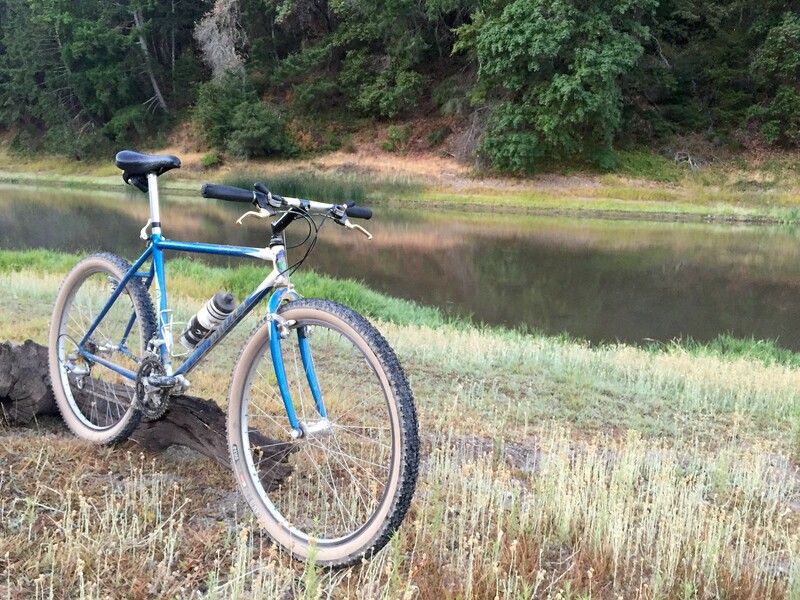 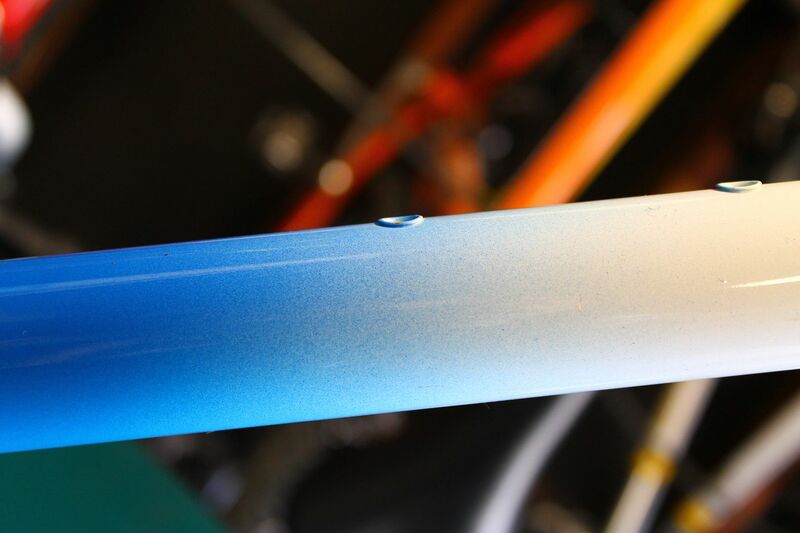 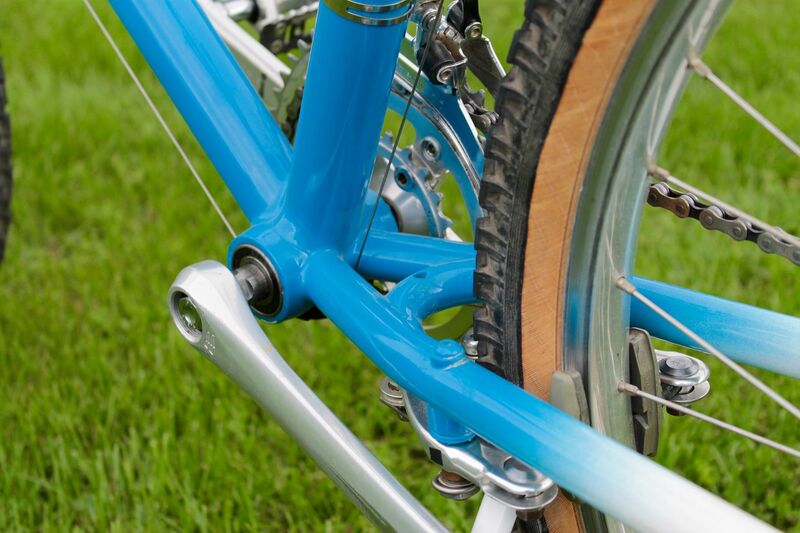 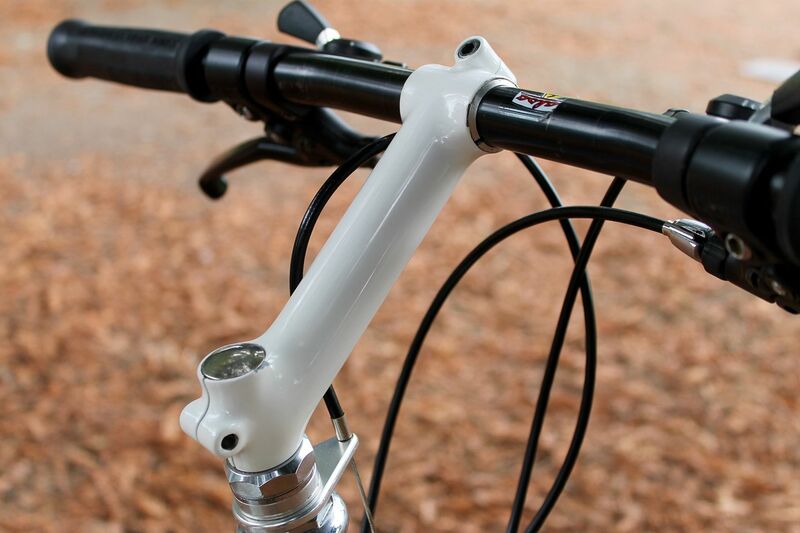 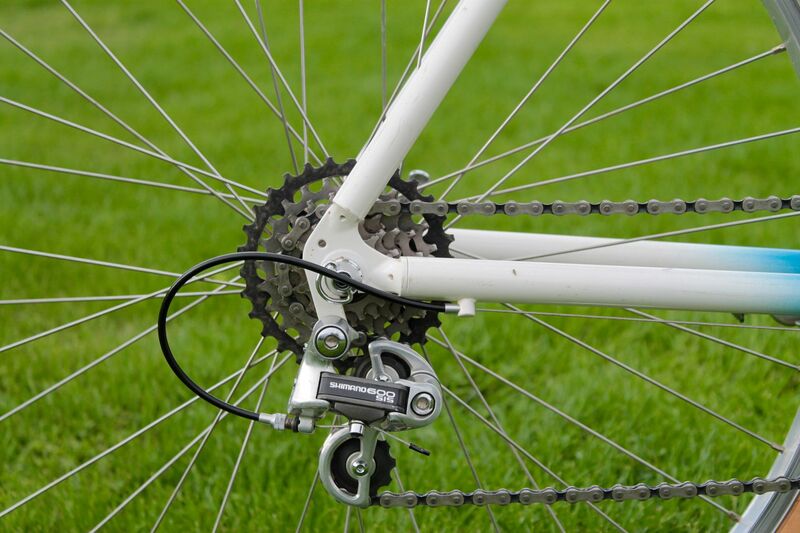 A classic mountain bike whose purpose might go unnoticed without closer inspection. 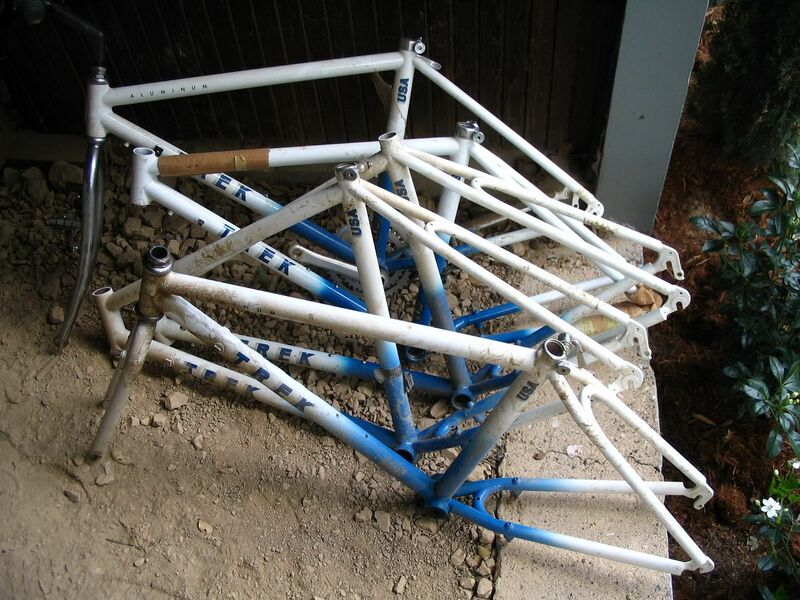 As initially unearthed ten years ago (2nd frame back). 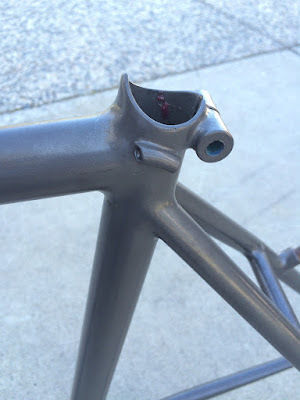 As received (just needed a wipe down). 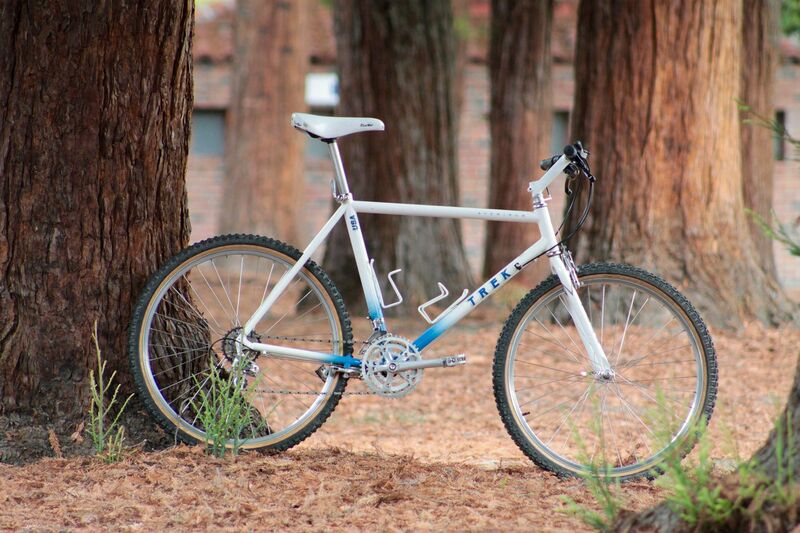 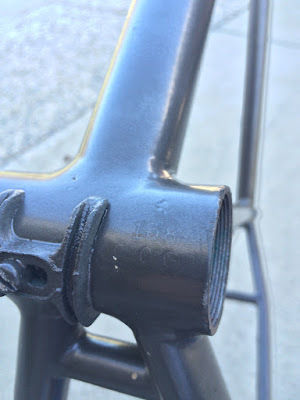 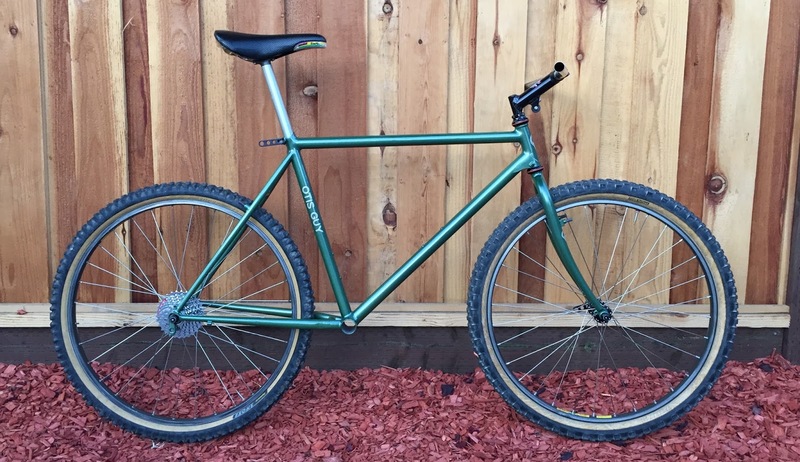 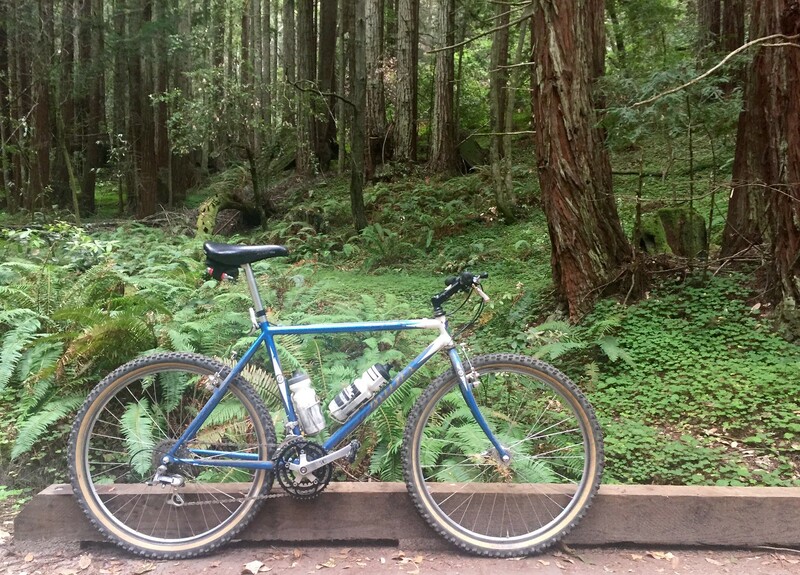 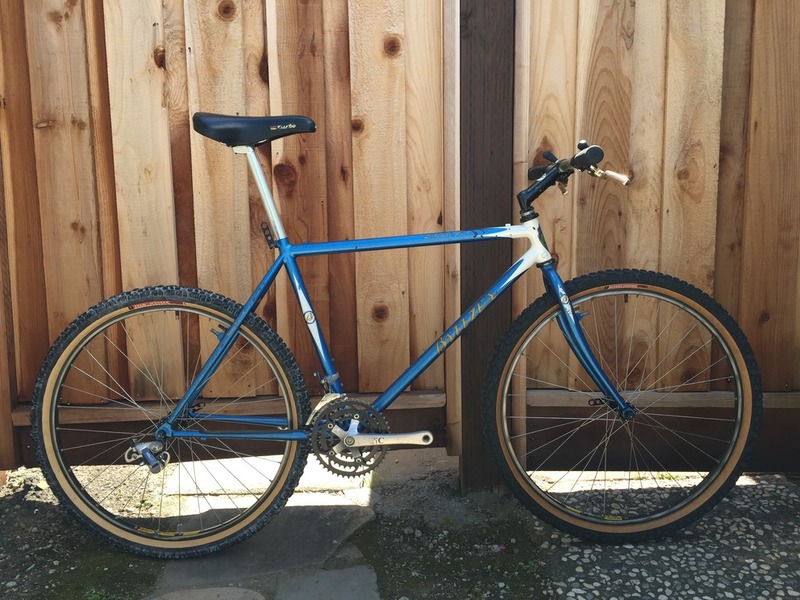 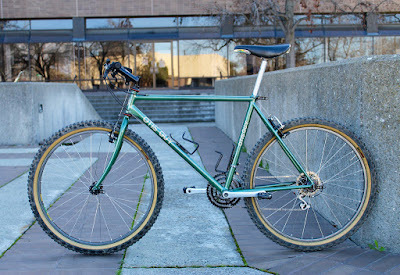 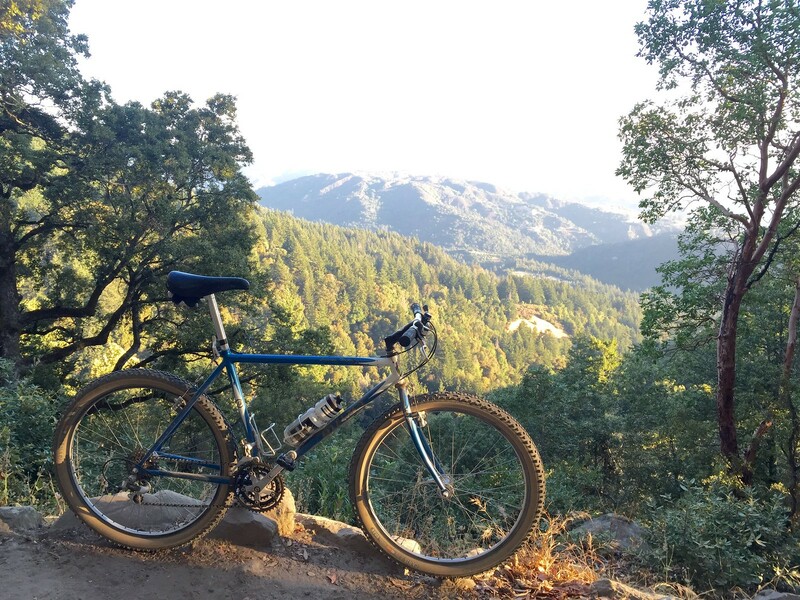 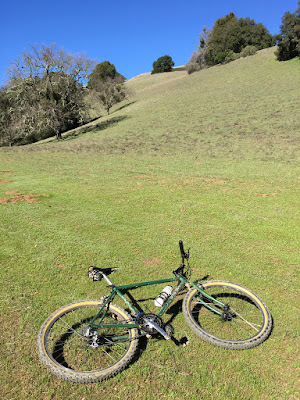 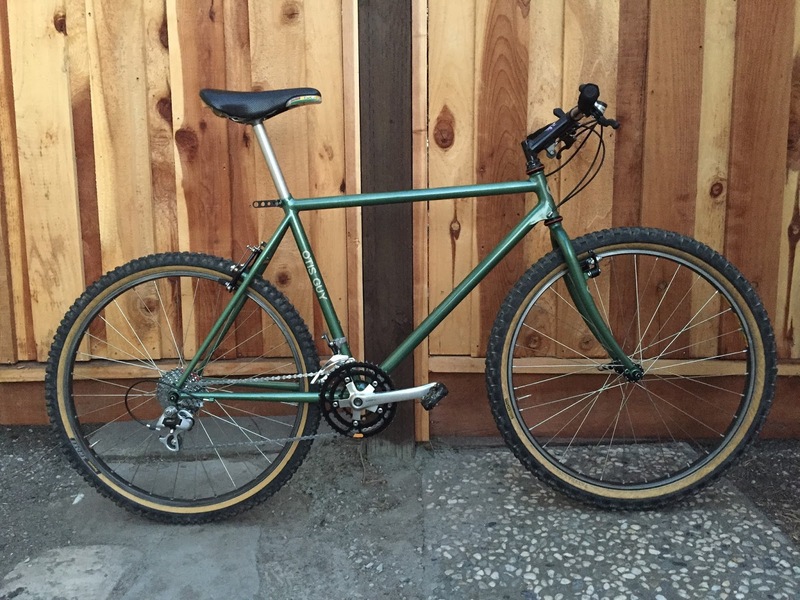 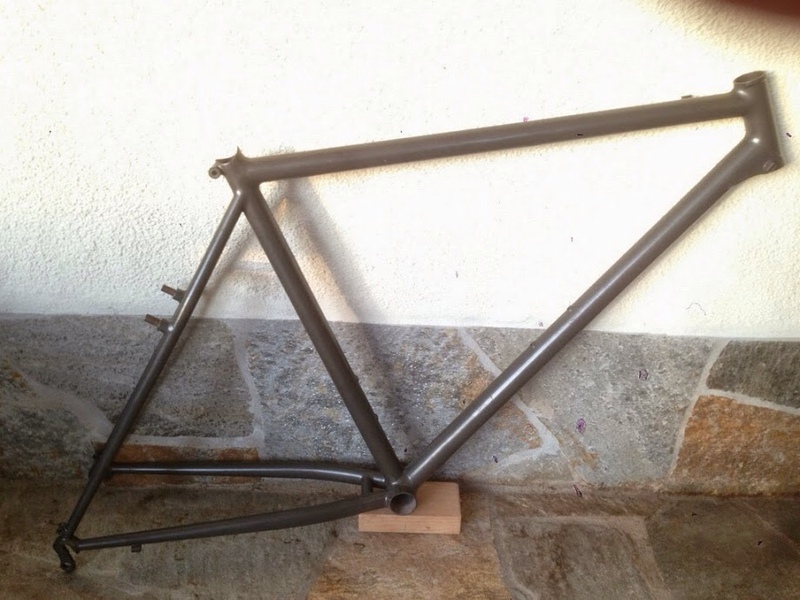 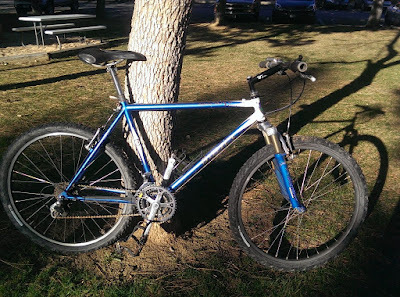 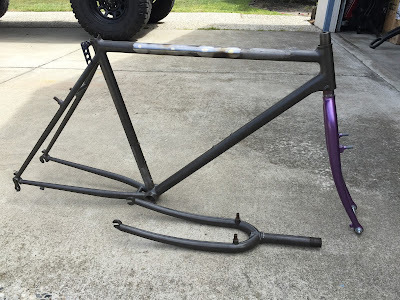 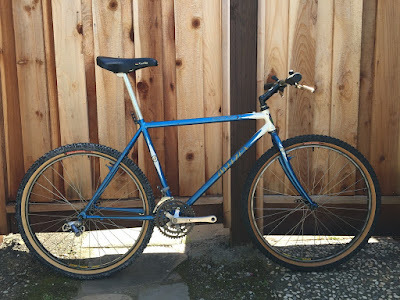 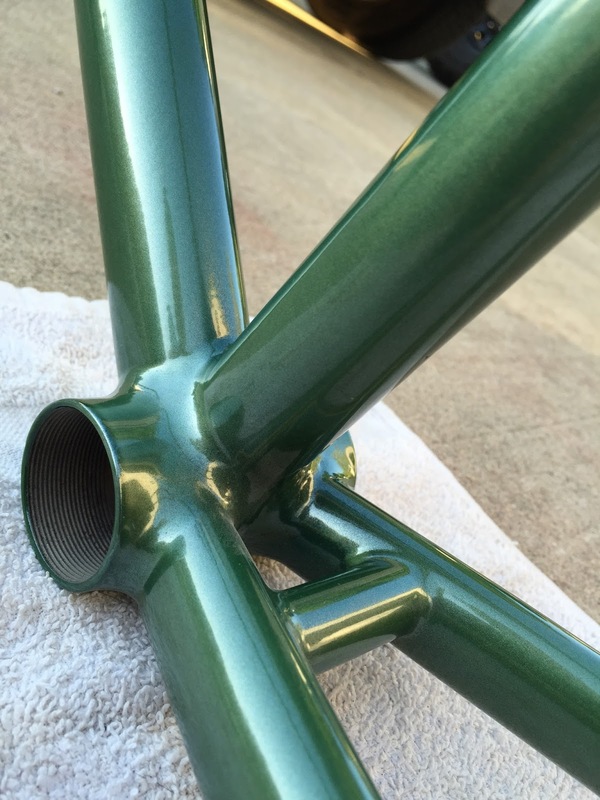 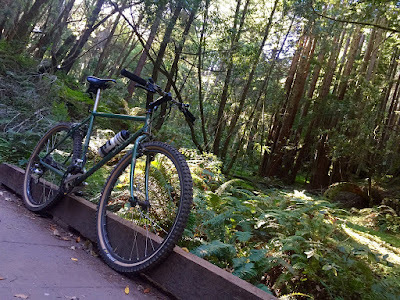 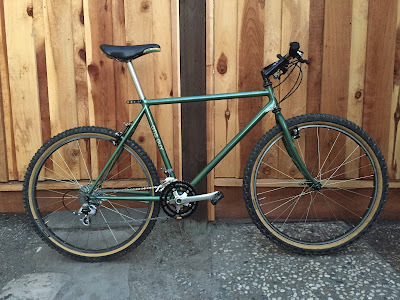 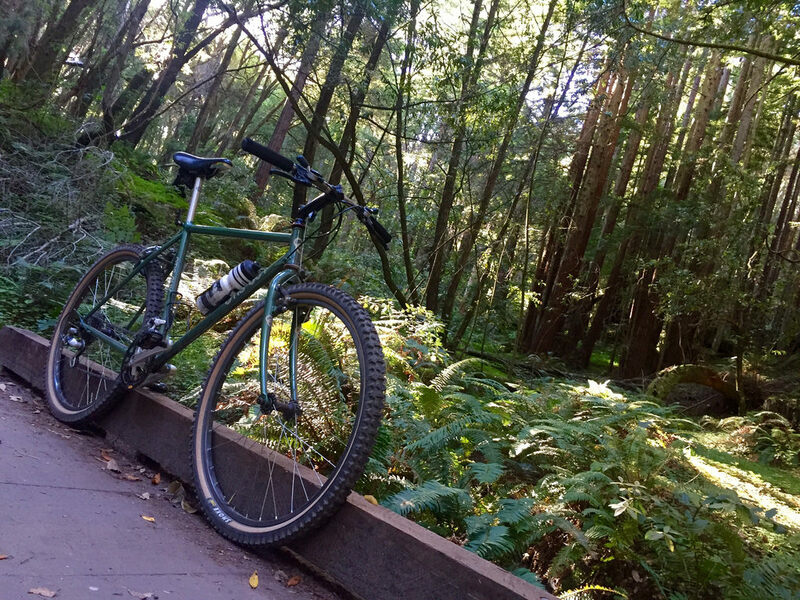 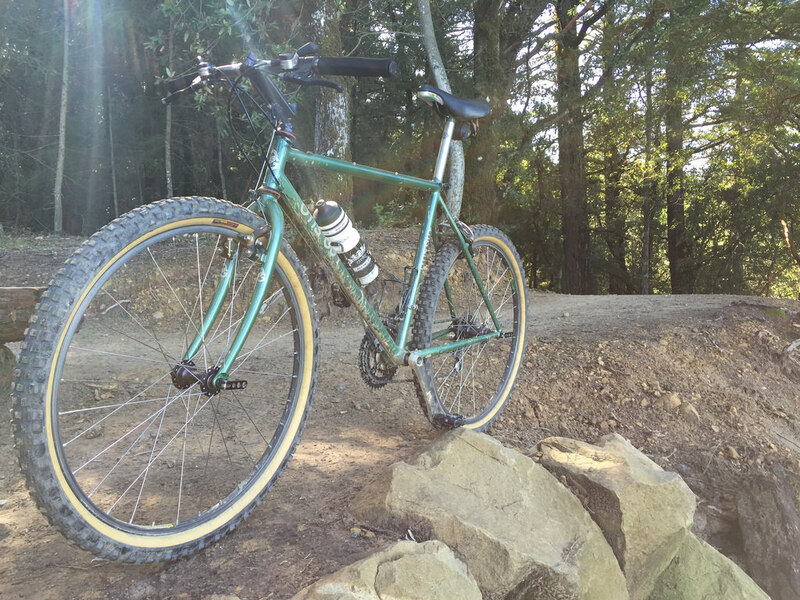 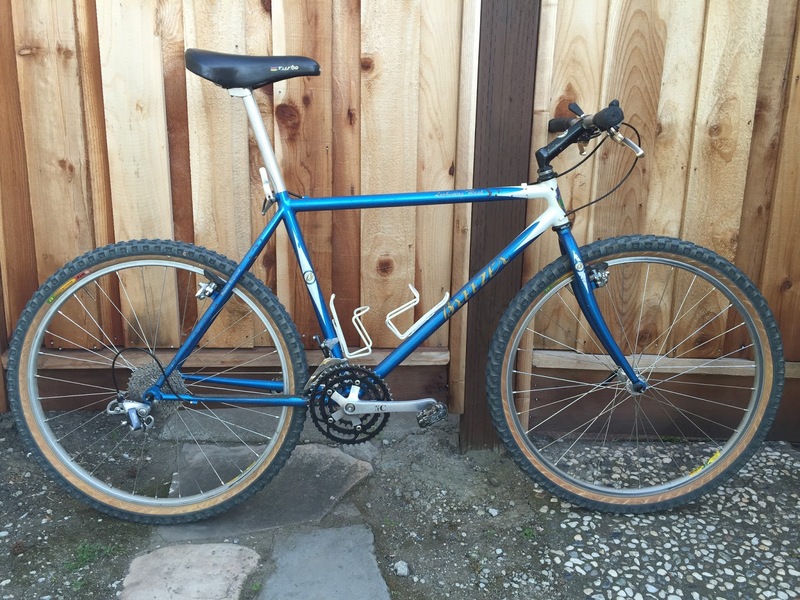 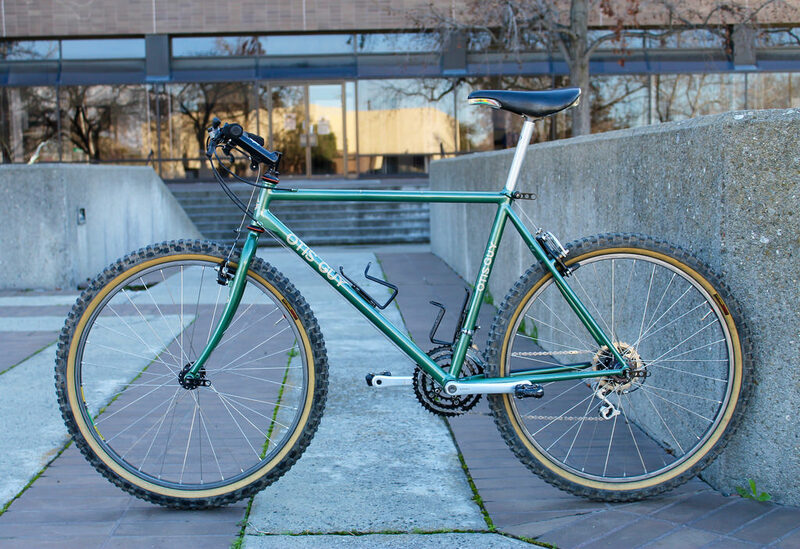 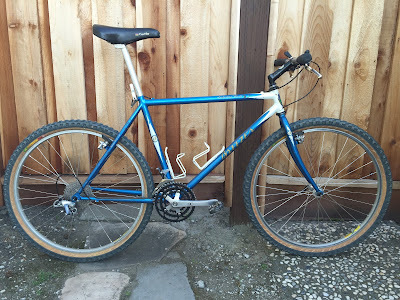 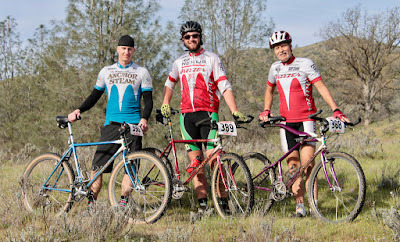 Other: 26.6 lbs, Surplus NOS WTB/Team Trek issue frame.